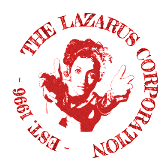 I wrote the original Lazarus Corporation Text Mixing Desk back in 2004 - a first attempt to see what I could do with text manipulation in PHP. It wasn’t very good code, but it worked (sort of) and a lot of people liked it. Ten years later I have finally got round to recoding it. It’s still not brilliant code, but it’s a little better, a bit more secure, and easier for me to maintain. I remember all-too-well the days when websites would be emblazoned with warnings like “Optimized for Netscape Navigator 3” and I don’t want to return to them, but I have to weigh that up against how many hours I want to spend on workarounds for the failings of older browsers. And the answer is: not many. Just upgrade - it’s safer and more secure.